There is a fantastic range of books on Spain and all things Spanish available in the English language. You can order from Amazon here. They list over 600 items under the search “books about spain”. Accordingly, no book list could ever claim or even hope to be complete. 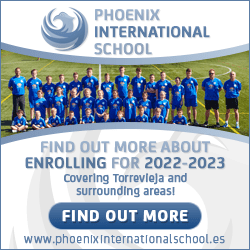 The list on this page is intended for those who want an overview of Spain and the Spanish and is particularly directed at those who are considering moving to the country. I would be very grateful for any suggestions and amendments. If you only read one book about Spain, make sure it is this easy-too-read, difficult-to-put-down bestseller. 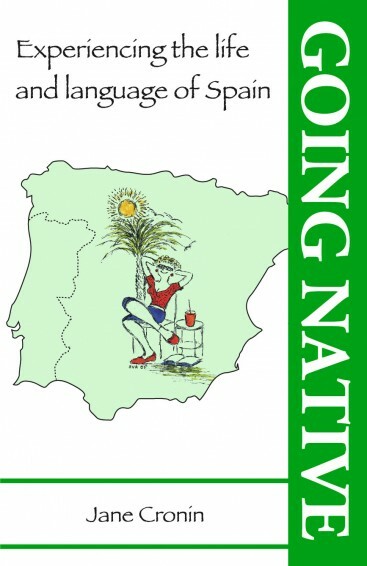 Going Native is a professionally-presented e-book containing 37 short chapters about different aspects of Spanish life and language. Written by language teacher Jane Cronin, Going Native will bring the life and language of Spain home to you in an entirely new way. Its light-hearted style will strike a chord with all ages, and will inspire you with the confidence you need to practise your Spanish next time you visit. Going Native is about discovering Spain and learning Spanish, but it’s also about much, much more than that. Going Native explains all those little everyday things that happen in Spain that you’ve never quite understood. It is full of fascinating observations on the way things are done and is overflowing with tips on how to break through the language barrier and start communicating with the people around you. The book is delightfully illustrated by humorous drawings from the artist Eva Gold Young. This book should be mandatory reading for everyone thinking about moving to Spain and absolutely essential if you live here. It is revised almost every year and is the most accurate and up to date book available. The latest edition even covers the new traffic laws. Live and Work in Spain by Jonathan Packer, Vacation Work 1-85458-186-4 Not as good as Hampshire’s book and 7 years between editions means that it is not so up to date. Nevertheless a worthwhile general guide. A more general book than ‘You and the Law in Spain’ but equally valuable. It covers the legal side but is much better for the nitty-gritty of living in Spain. For instance it even explains the format of a Bullfight and describes all the major lotteries! Again absolutely indispensable. Buying a Home in Spain is essential reading for anyone planning to purchase property in Spain and is the most comprehensive and up-to-date source of information available. Whether you’re seeking a castillo, villa, farmhouse, townhouse or an apartment, a holiday or a permanent home, this book will help make your dreams come true. Spain has been popular as a holiday and retirement destination and has become important as a focus for commercial life. This second edition has been updated and revised to provide information for anyone planning to live in Spain, either on a temporary or permanent basis and whether for business, professional purposes, study, leisure or retirement. The book offers an account of Spain’s variated lifestyles and how to cope. This guide is essential reading for anyone planning to buy property in Spain. It covers all the popular destinations including the Balearics, Canaries, Costa Blanca, Costa Del Sol, other Costas, the major cities and other popular areas. Costa Blanca (Sunflower Landscapes series) Walks, Car Tours and Picnics by John and Christine Oldfield. Not just another hotel guide! This has some really lovely little places(and some big ones) to stay at if you fancy a bit of touring when you get fed up with your personal ‘Costa’. They are often in out of the way places and you are unlikely to come across them by accident. Most are privately run and the book gives very good details with prices and directions. They have all been selected by the author. This is different from the hundreds of run of the mill ‘teach yourself Spanish’ books. It concentrates on Spanish as it is ‘spoke’. It covers all the difficult words that can mean very different things if put in the wrong context. As the author appears from her name to be an Englishwoman married to a Spaniard it gives her the ability to explain what these words and phrases mean in colloquial English – not easy for a Spaniard. She has a regular column in SUR, the major English language weekly newspaper on the Costa del Sol. This monster guide to Spain provides details on getting around, places to stay, places to eat and entertainment options. Whether you’re keen to sip sangria on a palm-lined Balearic beach or snow-ski down the Sierra Nevada, this practical guide will show you why Spain is a número uno destination. This is just one of over 30 Lonely Planet guides to Spain and its regions. Whilst more directed at tourists and visitors Lonely Planet knows Spain in great detail. Full of useful tips straight from a British couple who bought their cave-house high in the Murcia hills with sea views of the Costa Cálida amid acres of olive trees and almond trees, A Brit’s Scrapbook: Going Native In Murcia will reveal all the little secrets for successfully finding your ideal holiday home, investment property or simply enjoying your stay by going native. The authors bought their hideaway in 2002 and have seen their investment double year on year. But buying and renovating Spanish property isn’t entirely easy. In fact it can be fraught with little problems and setbacks that the authors found out for themselves first hand. Anyone even considering buying in (or even visiting) this up-and-coming Costa Cálida region would do well to consult this book first. A Season in Spain by Andrew and Lesley Grant-Adamson, Pavilion, 1-85793-305-2. An English couple who fulfilled a dream by spending a year in Spain in a rented house in the Alpujarras south of Granada, the same area as covered in ‘Driving over Lemons’. An equally good read if you are interested in the ‘real’ Spain. Snowball Oranges (One Mallorcan Winter) by Peter Kerr. Mañana Mañana (One Mallorcan Summer) by Peter Kerr. Driving Over Lemons (An Optimist in Andalucia) by Chris Stewart. The Parrot and the Pepper Tree (A sort of Sequel to D.O.L’s) by Chris Stewart. Spanish Lessons (Beginning a new life in Spain) by Derek Lambert. Written like an adventure novel! Good bedside reading, it tells the story of a middle aged English couple who retire to Spain and end up buying an Avocado farm in the Campo. Originally published in the local English paper as ‘Snippets’ of life in Spain, it is now available in book form. conditions, particularly those that require little water. A good all round guide again with some good photos. A basic ‘How to do it’ guide – drawings rather than photos but well priced. An excellent paperback guide. Very easy to locate the plant you are looking for and really nice coloured drawings. Alan has written many fishy books. This one concentrates on fish we are likely to find on the Iberian peninsular (or to be more exact, swimming around it!). It’s not a recipe book but if you see a strange fish in the market, this book will tell you what it is. It has good drawings of the various species and gives all the likely Portuguese, Spanish, Catalan and Gallego names. Good Spanish cookbook, the recipes are quite authentic and each chapter covers a different region of Spain. Written specially for those of us who come to Spain and want to recreate some of the local dishes. The recipes are authentic and easy to follow. There is also an absolutely invaluable introduction that describes all the raw materials with their names in Spanish. They say a picture paints a thousand words. Perhaps this book filled with many previously unpublished photos explains a little of what happened in the Franco years. Homage to Catalonia by George Orwell. About the Spanish Civil War. Orwell in Spain (containing ‘Homage to Catalonia‘) by George Orwell. Unbiased(?) and independent view of Spain at the time of the Civil War, circa 1936. Death in the Afternoon, by Ernest Hemingway. South from Granada by Gerald Brenan. Classic about village life in Spain before the civil war. Spain is a country with a rich literary tradition. If you don’t speak Spanish there are fortunately many excellent translations and reference books. Anthology. Spain – Drama Contemporary, Performing Arts Journal Publications, 1985. Edited by Marion Peter Holt. Anthology. Spanish Stories/Cuentos Españoles, Dover Publications, 1987. Edited by Angel Flores. Baroja, Pio. Zalacaín the Adventurer, Lost Coast Press, 1997. Translated by James Diendl. The Modern Language Association of America, 1996. Translated by Maria Cristina Urruela. Galdós, Benito Peréz. Miau, Penguin Books, 1963. Translated by J.M. Cohen. Galdós, Benito Peréz. Misericordia, Dedalus European Classics, 1995. Translated by Charles de Salis. Galdós, Benito Peréz. That Bringas Woman, Everyman, 1996. Translated by Catherine Jagoe. Galdós, Benito Peréz. Nazarin, Oxford Press, 1993. Translated by Jo Labanyi. Galdós, Benito Peréz. Fortunata and Jacinta, Penguin Classics, 1988. Translated by Agnes Moncy Gullón. Galdós, Benito Peréz. Dona Perfecta, Barron’s Educational Series, Inc., 1960. Ibáñez, Vicente Blasco. The Four Horsemen Of The Apocalypse, E.P. Dutton, 1941. Translated by Charlotte Brewster Jordan. Ibáñez, Vicente Blasco. Reeds and Mud, Branden Press, 1966. Translated by Lester Beberfall. Jiménez, Juan Ramón. Platero and I, University Of Texas Press, 1990. Jiménez, Juan Ramón. Stories of Life and Death, toExcel, 2000. Translated by Antonio de Nicolás. Spanish Literature, The Oxford Companion to. Oxford University Press, 1978. Unamuno, Miguel de. Abel Sanchez and Other Stories (includes The Madness of Doctor Montarco and San Manuel Bueno, Martyr), Regnery Publishing, Inc., 1996. Valle-Inclán, Ramón del. Spring And Summer Sonatas, Dedalus, 1997. PS: As a footnote my favourite Spanish novel which won the first ever Premio De Novela Ciudad de Torrevieja. These books should be available from Bargain Books in Torrevieja, Libreria Europa in Calpe or via the internet at www.ThisIsSpain.info (click on the Amazon link at the top of this page).